If you're on the hunt for the perfect pair of shoes (okay, make that pairs) to wear all summer long, we've got your back—actually, feet. We're highlighting the absolute best shoes of the season right here, right now. But we're taking it one step further and breaking it down by style personality—so there's really something for everybody. Keep scrolling to find the pair(s) you'll want to step into, stat. If you like something polished (e.g., a classic stiletto) but like to spice it up with cool tie details, the lace-up heel is for you! If you prefer to wear sweatshirts rather than girlie blouses, you're officially a sporty girl—and a cool pair of anything-but-standard sneakers are ideal for your everyday kick-backs. Like to be different from the rest? Ditch those ordinary sandals for something that'll elevate your cool factor, like rad flatforms. Yes, we're all fashion girls, but if you're really into fashion, what better heel to step into than a gorgeous pair of open-toe stilettos? Stunning. Not so into the femme silhouettes? Go for something a bit tougher, like an awesome pair of chunky boots. We love the idea of pairing them with a denim skirt for summer! 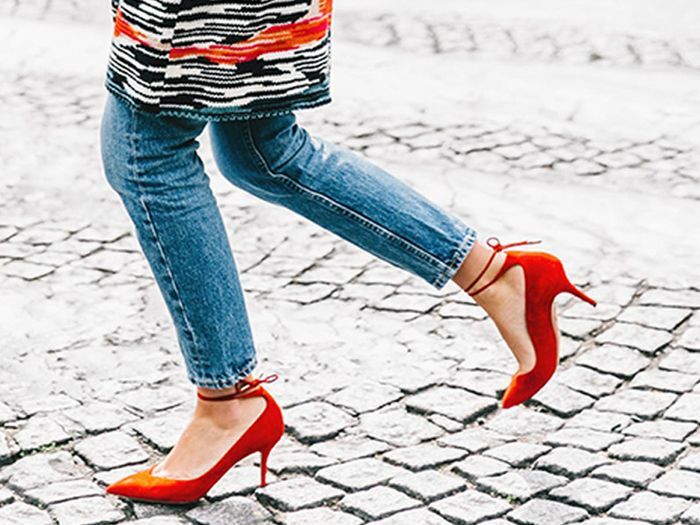 Did you find the perfect pair of shoes to fit your style personality? Sound off in the comments below!